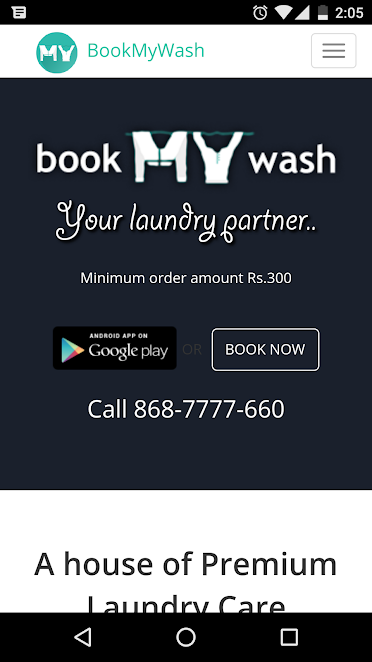 BookMyWash is an application providing you the best laundry services. 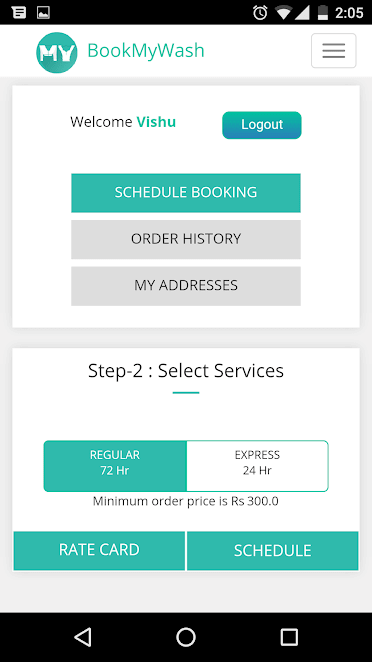 BookMyWash provides its services in Noida and Bangalore. 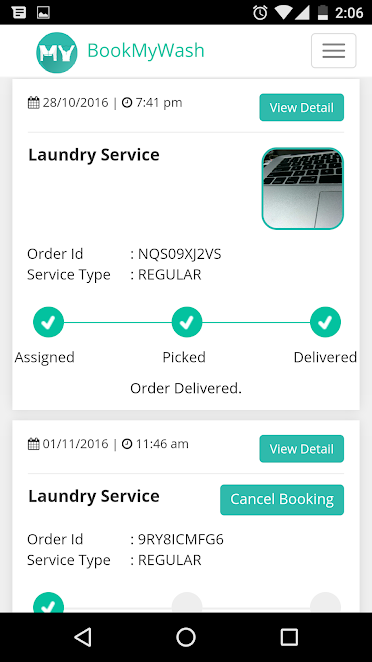 BookMyWash is an application providing you the best laundry services. 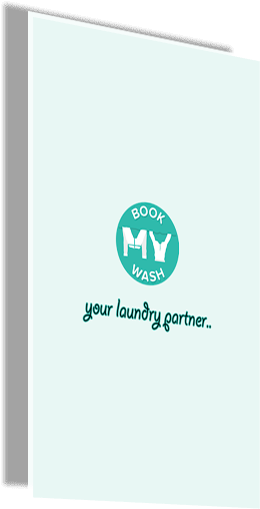 BookMyWash provides its services in Noida and Bangalore.On your one click at BookMyWash, staff will be there to pick up your dirty laundry. They will wash, dry and iron with standard measures. 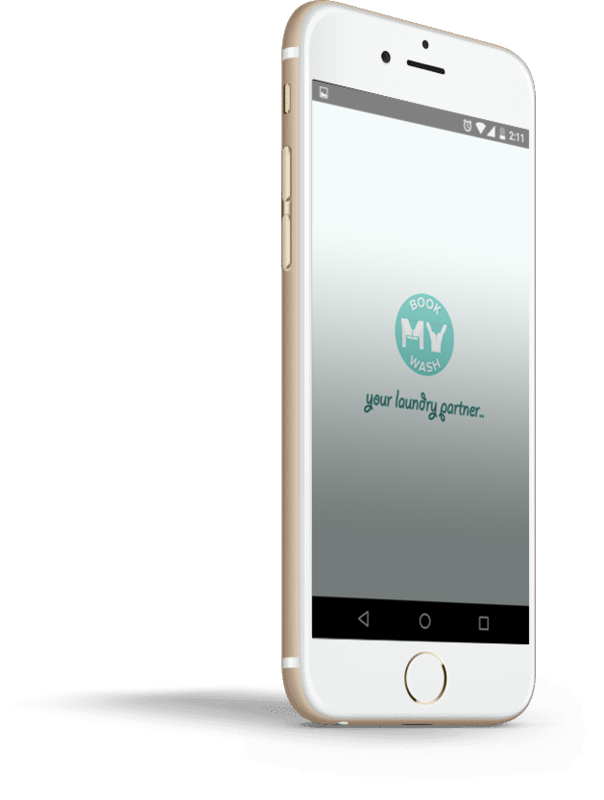 Your laundry will be delivered within a time period of 24 to 48 hours.Your laundry will be delivered without any damage or loss. If so occurred, you will be refunded back.The minimum order for laundry wash is at Rs. 300. Orders below Rs. 300 will be cancelled. 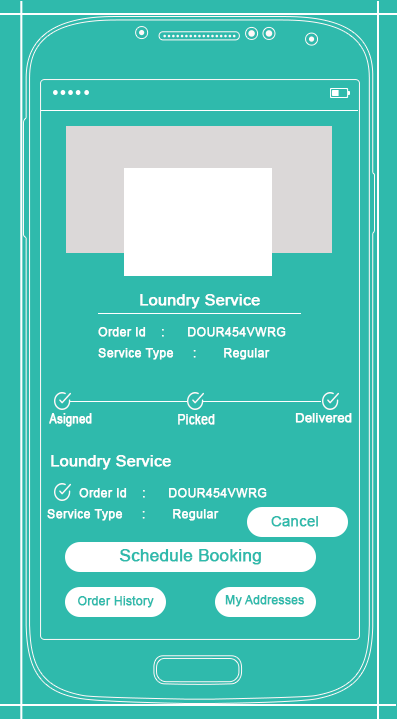 BookMyWash provides you the services for free pick-up of your laundry. After cleaning and ironing your laundry, your laundry will be delivered at your given address without any charges. 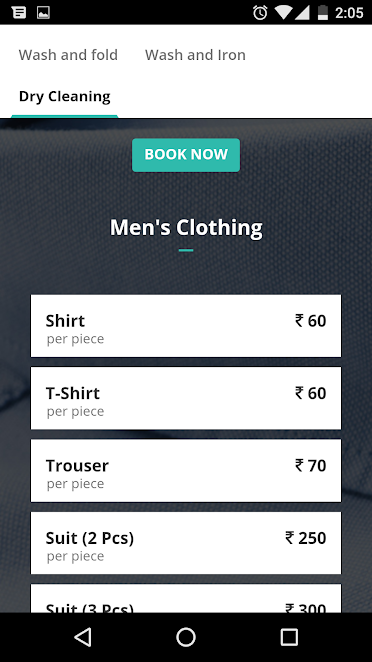 BookMyWash takes too much less time to deliver back your laundry. It takes around 24 to 48 hours to deliver back. It is very less time in urgencies. The staffof BookMyWash takes extra care of your laundries so that they did not get damaged. Your laundry is washed and dried under high standards. Ironing is done with proper care and quality. 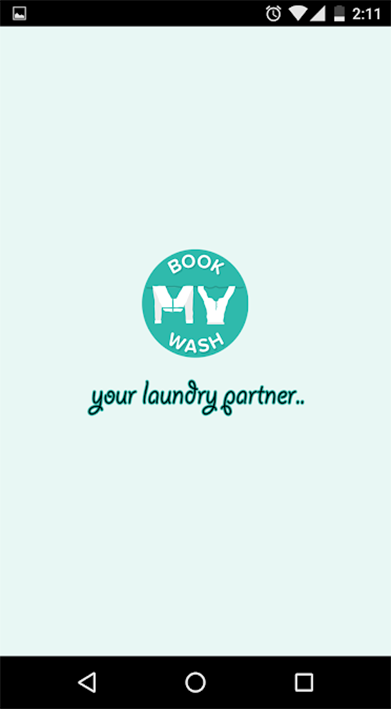 BookMyWash provides you the best laundry services at very low prices. 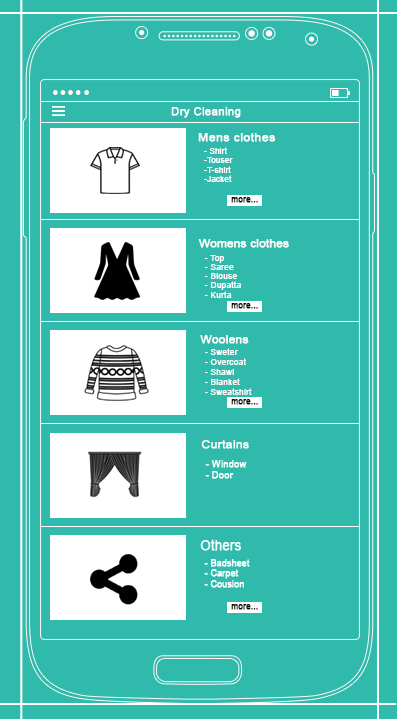 The minimum amount to order laundry service is just Rs. 300. They make you ensure that your laundry will be treated with bestservices so that you have no any complaint regarding our services. 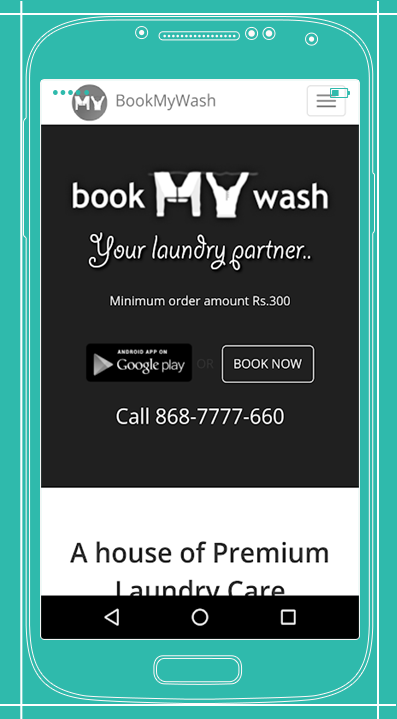 BookMyWash releases you from all your worries regarding to the laundry. Their team is here to take care for you. 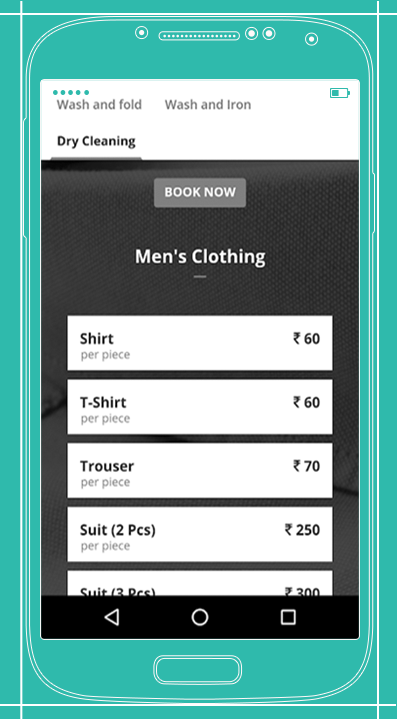 They release your stress regarding laundry in just one click at BookMyWash. 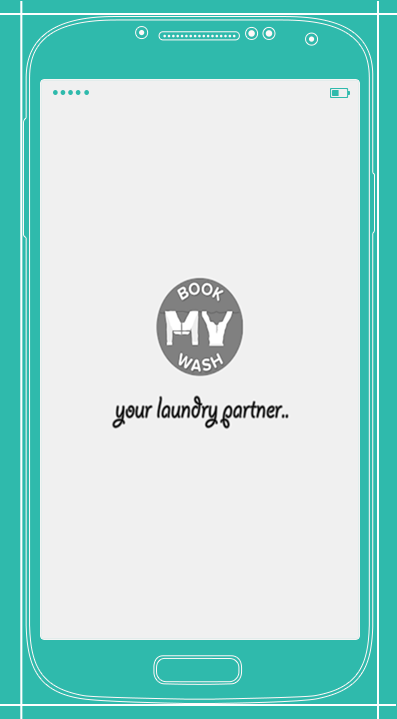 The team of BookMyWash is always here to satisfy your laundry problems. Customer satisfaction is 100% and make you sure, you will be also satisfied with BookMyWash services.